Cordillera - The Philippine National Academy (PNPA) has released the official top 10 of SANSIKLAB Class 2019 who excelled in their four years of perseverance and determination to become member of the country's police force. Police Cadet Ferdinand Mark Haguiling Lagchana from Ifugao ranked top four of the graduating class. Cadet Lagchana grew up from the town of Mayoyao, Ifugao. He is 22 years old and the youngest among his six siblings. His mother is a nurse and his father was a security guard. But according to Lagchana, his father passed away when he was 12 years old. 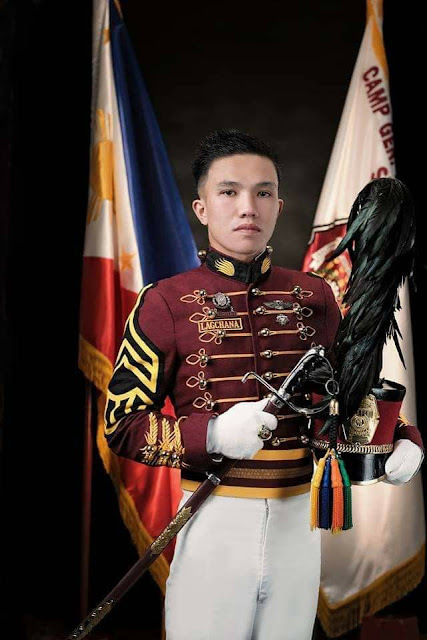 Despite growing up without a father, Lagchana studied hard until he had a chance to enter the academy and now among the top 10 of the PNPA SANSIKLAB Class of 2019. Lagchana enrolled Bachelor of Science in Civil Engineering but shifted to BS Criminology at Saint Mary's University, Bayombong Nueva Viscaya before joining the PNPA. "Pumasok po ako dito sa Academy para po makatulong sa pamilya. Gusto ko pong makatapos ng pag aaral ng hindi ko po sila binabahala. Gusto ko pong maging pulis at gusto ko pong maging bahagi sa pagsugpo ng kriminalidad sa ating bansa." ("I entered the Academy to help my family. I want to finish my study without giving too much pressure on them. I want to be a cop and I want to be part in the crack-down of criminality in the country.") Lagchana said during a press-conference. "I came from a family wherein three of my brothers are graduates of the PMMA. From there, I've witnessed the hardship of my brothers working in other countries for months leaving their families behind. This made me change course and had chosen to enter in the police service through PNPA," he added. Fulfilling his dream in becoming a police, Lagchana is set to graduate on March 22 in Silang, Cavite together with other top 9 in the class. 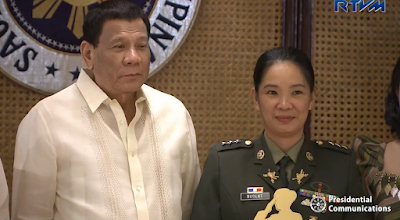 He will be awarded the top graduate of SANSIKLAB Class which stands "Sandigan ng Mamayan na may Sigasig na Itaguyud ang Kapayapaan at Ipaglaban ang Bayan. Congratulations to you my fellow Immipuggo. Maknongan bless you. Haggiyo!